Two days ago the Maryland Coastal Bays Program went out on our pontoon boat with WBOC16 reporter Lauren Holloway to observe the last known nesting grounds in Maryland for the Black Skimmer. 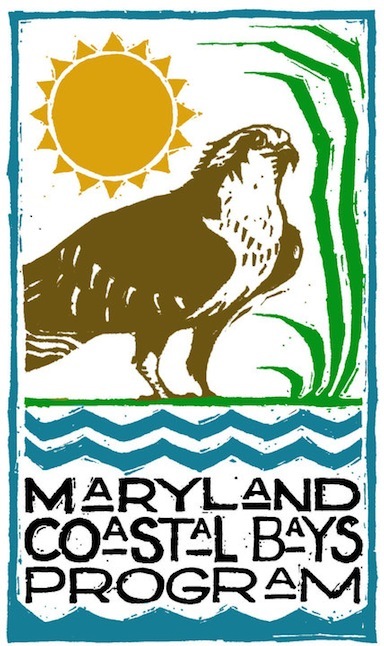 This tropical looking seabird is endangered in the state of Maryland and its nesting ground is at risk. On this perfectly sunny and breezy day we rode out to the nesting grounds located in a small unnamed island near the Route 50 Bridge with signs reading “NO WAKE”. Large wakes produced by boats speeding too close are putting the seabirds at risk. The island is predominately sandy with some grasses, the perfect habitat for the Black Skimmer and the Common Tern which also nests on it. This island, which may be referred to as the OC Spoils, is in the middle of the Sinepuxent Bay of West Ocean City where there is heavy traffic with fast boats such as the OC Screamer. We saw the OC Screamer speeding by but thankfully it kept a safe distance from the island. This may be because it is a local boat but what we fear are the boats who are unaware of the no wake zone and of our endangered seabirds. We hope to lower the boating speed limit in the area to preserve the habitat but it may take up to a year so until then the island is closely monitored. ← We couldn’t do it without you!